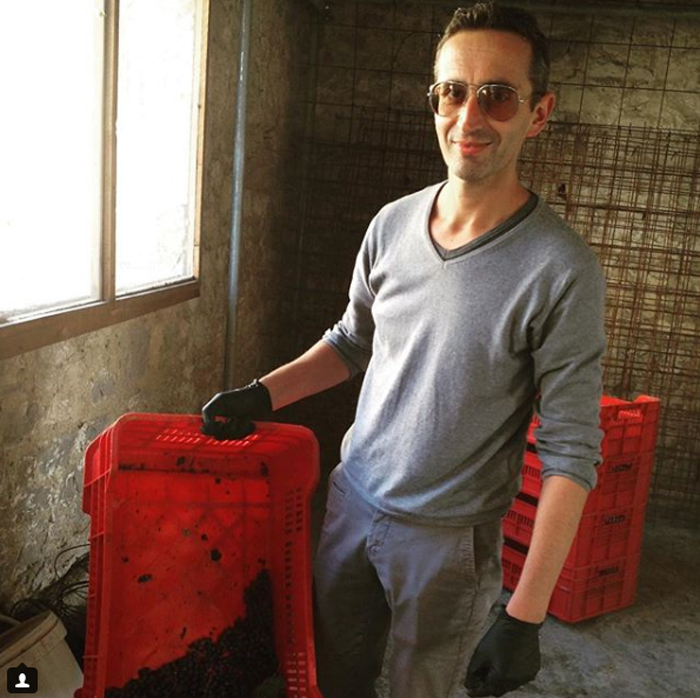 Wine Blog » Blog Archive » Do You Know About This Tuscan Fail Safe Practice? 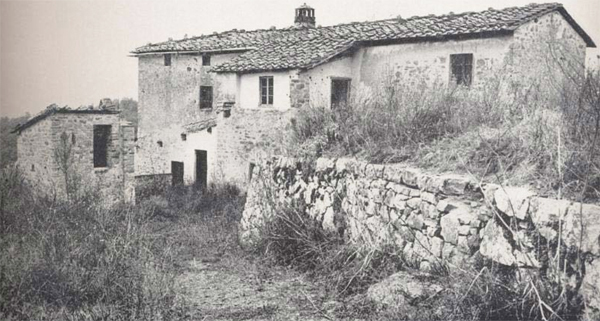 This practice is one that I had no idea existed, until I was the guest of Castello di Meleto. Located in Gaiole in the Chianti Classico region of Tuscany, this past October. I was travelling with Michael Yurch (Bluest Sky Group), wine writer Dr. Michael Apstein (who writes for many publications, including Decanter), and Windows on the World author Kevin Zraly (did a pop-in). Antonia Caserta was our guide for the three days at the Castello. On the last day of our visit, Antonia told us that she was going to “put us to work,” right after breakfast. With her lead, we all walked from our dining room, and headed down a pretty vertical hillside… toward one of the small houses below. I took a few pictures on the way down; then my camera’s battery needed recharging. I always have a backup, but it was in my backpack, which I decided to shed for this one time during the trip, and left it at the Castello. Back up the hill I ran. (Bad idea, not in the best shape to simply glide upward with that kind of a vertical incline.) I took several horizontal segues back to the top of the hill. grabbed my iPad, then headed back downhill. As I approached the little shed, I wondered, “Could this building have also existed in the 1200s, when the Benedictine Monks were in residence? I recently wrote the story of the structure’s origin: The Benedictine Monks Are Smiling ~ Their Abby is Now Chianti’s Castello di Meleto.) It certainly looked as if it was part of the original plan, because it replicates all of the other stone structures (of alberese stone, also known as sandstone) and constructed walls of the 1200s, at this location. As the naturally abundant, existing resource, these stone constructs are the best evidence of their greatest building resource. I arrived just in time to see my colleagues wrapping up the task. Greeted by Giovanni Maria Farina [pictured], the winery’s agronomist, I was still scheduled to perform the work, and I was now ready. Antonia Caserta borrowed my iPad, so she could photographed my hanging the grape clusters. I could have stayed there all day, just hanging grapes. I love viticulture (studied it at the college level). My husband and I inherited a small vineyard at our mountainside home in Alexander Valley, Sonoma County. We’re growing Sangiovese and Grenache grapes. A study was done, and this land proved to be the best-suited place for both varieties of wine grapes. But not just the clusters were hanging on their own. (See the image above.) About five to six inches of canes, on each side of the hanging cluster, were part of what was being hung to dry, to support the clusters. 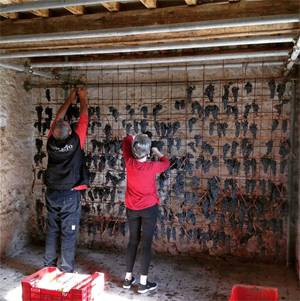 The clusters were hung here, to begin their semi-drying process. That was step one, and since I missed why my friends were doing this, it would take my hanging the grapes and moving to the next stage, before I actually came to realize what was happening. We left this shed-like building and traveled to the next stage, going into the adjoining building to see this miracle of drying wine grapes… a tapestry so magnificent it took my breath away. Giovanni was waiting for us, to explain why grapes are dried in this manner. In the event of a stuck fermentation (when fermentation slows down), this can be disastrous for the future vintage. 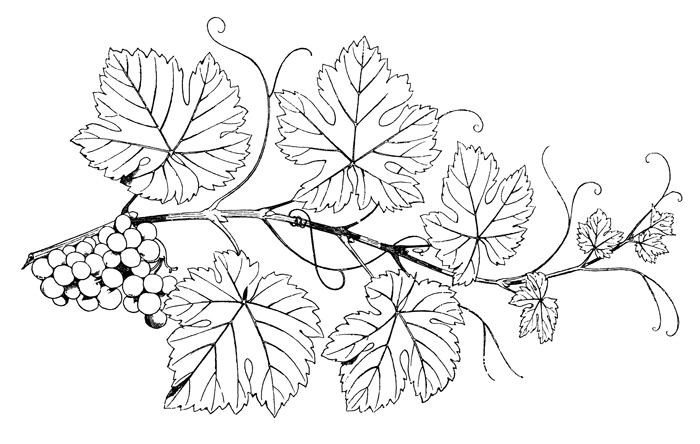 Hanging grapes in this manner can prove to be their saving grace. 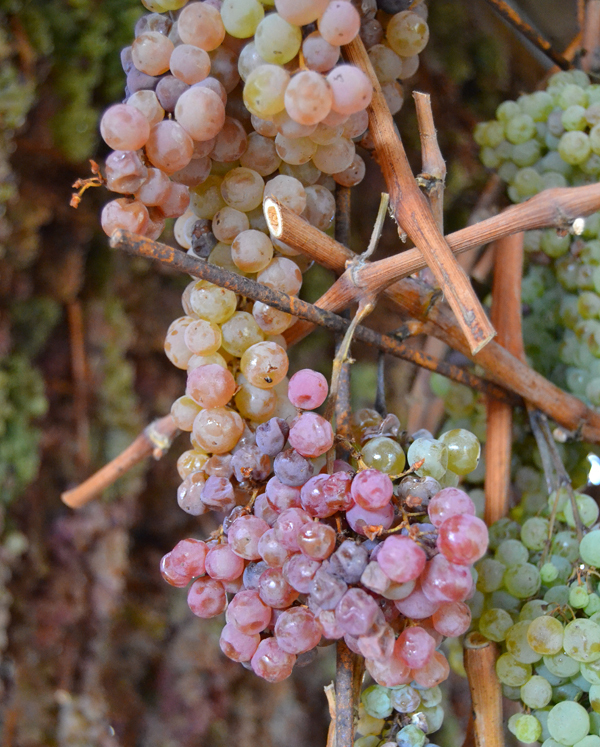 Have you ever seen more beautiful wine grapes in differing stages of veraison (the onset of wine grapes ripening)? In my 27 years of being in the wine business, I had yet to see anything so visually beautiful in a shed, nor did I even know that this practice exists. We exited these hanging grapes in awe, to enjoy a lovely Tuscany lunch, under perfect, autumnal conditions. Upon returning back to Sonoma County, I did a bit of research to better understand the tradition I had just experienced. It was certainly something not new, just new to me. Here’s what I found, coming from a PDF, from the Court of Master Sommeliers. “The traditional practice of governo (fermentation with the juice of dried grapes, to strengthen the wine and initiate malolactic fermentation) is legally permitted. This process must be indicated on labels as “Governo all’uso Toscano,” Chianti normale may be released on March 1 of the year following the harvest; however, the subzones of Rùfina, Montespertoli, and Colli Fiorentini require additional aging. One more exploration, to finish what I’ve learned, since returning home. “Governo” mentioned about in the Court of Master Sommeliers PDF… What is it? They also help what’s called a “stuck fermentation,” when the juice begins to slow it’s process of turning juice into wine. Winemakers will add these grapes to the must (fermenting juice crushed, that also contains the stems, skins, and seeds of the grapes), so the fermentation gets a boost in sugar. This hopefully enlivens fermentation, once again. From Chianti, we drove eastward [pictured above] across Italy to the region of Marche, through the Apennini Mountains. (These mountains travel north to south through Italy. Here, in Marche (and Umbria) this Governo winemaking technique is also used. I was introduced to the white Verdicchio wine grape variety by Colonnara Viticultori in Cupramontana ~ In the Castelli di Jesi region of Le Marche. Here, it adds a bit of sweetness and an effervescent quality to the Marche wines. For all of the samples of Italian wines I’ve tasted, I better understand he ones from these regions, and will have more personal insights, where Central Italy is concerned. Flying into Rome, driving to Tuscany, then driving to Cupramontana in the Marche region, and spending a day in Senigallia, on the shoreline of the Adriatic Sea… What a fantastic, educational experience. If you ever get the chance to tour Europe, this is a “must do,” for all of the reasons listed above. A very special thank you to Michael Yurch of Bluest Sky Group, for your arranging my journey, as a guest of Castello di Meleto and Colonnara Viticultori, to join this Italy-bound adventure. Jo, this is such great information … truly fascinating to learn the history. Sounds like you had a magical, educational time. There is nothing like Italy!! It was such a great experience, Kathleen. My time was really magical, no doubt. And, you’re right… There’s nothing like Italy. I totally appreciate the learning process with this, and being able to share.